Recent Arrival! FWD 2019 Toyota Sienna LE 8 Passenger LE 8 Passenger 3.5L V6 SMPI DOHC Salsa Red Pearl REAR BACK UP CAMERA, BLUETOOTH, **STEERING WHEEL MOUNTED AUDIO CONTROLS**, 3RD ROW SEVEN PASSENGER, All Weather Floor Liner Package. Proudly serving Elizabethtown and all of Kentucky for over 60 years! Call 270-737-2181 or (800) 999-7591 to schedule a test drive today. All prices plus tax, title, lic, and dealer processing fee. Recent Arrival! 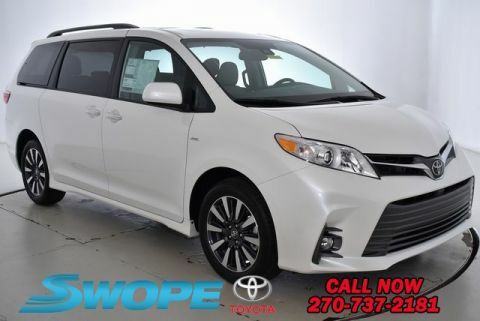 FWD 2019 Toyota Sienna XLE 8 Passenger 3.5L V6 SMPI DOHC Celestial Silver Metallic !! !2YR/24,000 COMPLIMENTARY MAINTENANCE PLAN INCLUDED!! !, 4-Corner/Back Clearance & Back Sonar, All Weather Floor Liner Package, Blind spot sensor: Blind Spot Monitor (BSM) warning, Distance pacing cruise control: Dynamic Radar Cruise Control, Radio: Entune 3.0 JBL Premium Audio, Steering wheel mounted audio controls, XLE Navigation Package. Proudly serving Elizabethtown and all of Kentucky for over 60 years! Call 270-737-2181 or (800) 999-7591 to schedule a test drive today. All prices plus tax, title, lic, and dealer processing fee. 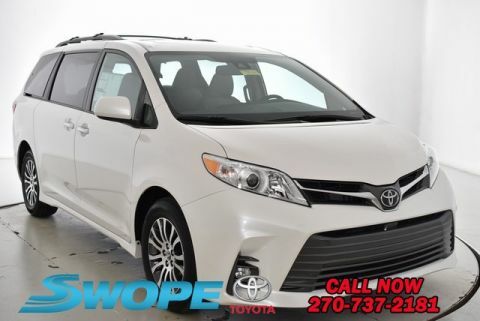 FWD 2019 Toyota Sienna XLE 8 Passenger XLE 8 Passenger 3.5L V6 SMPI DOHC Blizzard Pearl SUNROOF/MOONROOF, REAR BACK UP CAMERA, NAVIGATION/GPS/NAV, BLUETOOTH, **STEERING WHEEL MOUNTED AUDIO CONTROLS**, 3RD ROW SEVEN PASSENGER, !! !2YR/24,000 COMPLIMENTARY MAINTENANCE PLAN INCLUDED!! !, 4-Corner/Back Clearance & Back Sonar, HomeLink, Power moonroof, Radio: Entune 3.0 Audio Plus, XLE Navigation Package. Proudly serving Elizabethtown and all of Kentucky for over 60 years! Call 270-737-2181 or (800) 999-7591 to schedule a test drive today. All prices plus tax, title, lic, and dealer processing fee. FWD 2019 Toyota Sienna XLE 8 Passenger XLE 8 Passenger 3.5L V6 SMPI DOHC Blizzard Pearl SUNROOF/MOONROOF, REAR BACK UP CAMERA, NAVIGATION/GPS/NAV, BLUETOOTH, **STEERING WHEEL MOUNTED AUDIO CONTROLS**, 4-Corner/Back Clearance & Back Sonar, HomeLink, Power moonroof, Radio: Entune 3.0 Audio Plus, XLE Navigation Package. Proudly serving Elizabethtown and all of Kentucky for over 60 years! Call 270-737-2181 or (800) 999-7591 to schedule a test drive today. All prices plus tax, title, lic, and dealer processing fee. 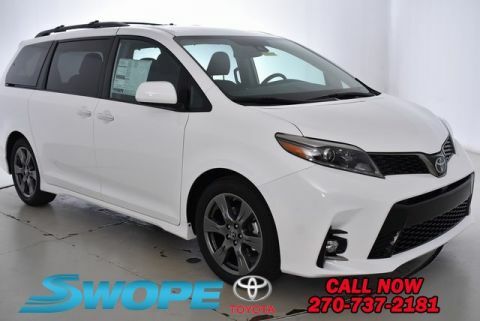 AWD 2019 Toyota Sienna XLE 7 Passenger XLE 7 Passenger 3.5L V6 SMPI DOHC Blizzard Pearl SUNROOF/MOONROOF, REAR BACK UP CAMERA, NAVIGATION/GPS/NAV, BLUETOOTH, **STEERING WHEEL MOUNTED AUDIO CONTROLS**, AWD, Power moonroof. Proudly serving Elizabethtown and all of Kentucky for over 60 years! Call 270-737-2181 or (800) 999-7591 to schedule a test drive today. All prices plus tax, title, lic, and dealer processing fee. AWD 2019 Toyota Sienna XLE Premium 7 Passenger XLE Premium 7 Passenger 3.5L V6 SMPI DOHC Celestial Silver Metallic LEATHER, SUNROOF/MOONROOF, REAR BACK UP CAMERA, NAVIGATION/GPS/NAV, BLUETOOTH, **STEERING WHEEL MOUNTED AUDIO CONTROLS**, AWD, 4-Corner/Back Clearance & Back Sonar, Dual-View Blu-Ray DVD Entertainment Center, HomeLink, Navigation System, Power moonroof, Wireless Headphones, XLE Premium Package. Proudly serving Elizabethtown and all of Kentucky for over 60 years! Call 270-737-2181 or (800) 999-7591 to schedule a test drive today. All prices plus tax, title, lic, and dealer processing fee. Recent Arrival! 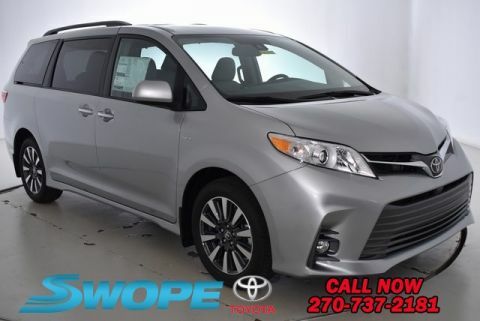 FWD 2019 Toyota Sienna SE Premium 8 Passenger 3.5L V6 SMPI DOHC Celestial Silver Metallic !! !2YR/24,000 COMPLIMENTARY MAINTENANCE PLAN INCLUDED!! !, 4-Corner/Back Clearance & Back Sonar, All Weather Floor Liners & Door Sill Protectors, Auto High-beam Headlights, Blind spot sensor: Blind Spot Monitor (BSM) warning, Convex Outside Rear View Mirror, Distance pacing cruise control: Dynamic Radar Cruise Control, Dual-View Blu-Ray DVD Entertainment Center, Entertainment system, Exterior Parking Camera Rear, Front Tilt & Slide Sun Roof & Moon Roof, Lane Change Assist, Navigation System, Power Liftgate, Preferred Accessory Package Plus, Radio: Entune 3.0 JBL Premium Audio, Roof Rack Cross Bars, SE Premium Package, Smart Key w/Push Button Start, Steering wheel mounted audio controls, Wireless Headphones. Proudly serving Elizabethtown and all of Kentucky for over 60 years! Call 270-737-2181 or (800) 999-7591 to schedule a test drive today. All prices plus tax, title, lic, and dealer processing fee. 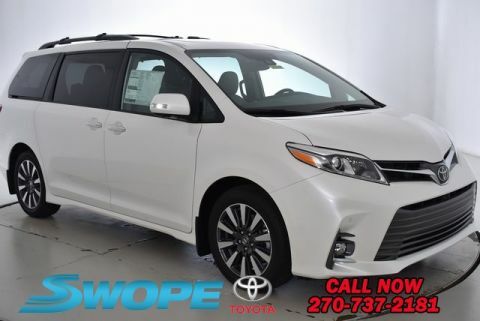 FWD 2019 Toyota Sienna SE Premium 8 Passenger SE Premium 8 Passenger 3.5L V6 SMPI DOHC Super White SUNROOF/MOONROOF, REAR BACK UP CAMERA, NAVIGATION/GPS/NAV, BLUETOOTH, **STEERING WHEEL MOUNTED AUDIO CONTROLS**, 3RD ROW SEVEN PASSENGER, Front Tilt & Slide Sun Roof & Moon Roof, Power moonroof. Proudly serving Elizabethtown and all of Kentucky for over 60 years! Call 270-737-2181 or (800) 999-7591 to schedule a test drive today. All prices plus tax, title, lic, and dealer processing fee. AWD 2019 Toyota Sienna XLE Premium 7 Passenger XLE Premium 7 Passenger 3.5L V6 SMPI DOHC Pearl LEATHER, SUNROOF/MOONROOF, REAR BACK UP CAMERA, NAVIGATION/GPS/NAV, BLUETOOTH, **STEERING WHEEL MOUNTED AUDIO CONTROLS**, AWD, 4-Corner/Back Clearance & Back Sonar, Dual-View Blu-Ray DVD Entertainment Center, Four Season Floor Liner/Mat Package, HomeLink, Navigation System, Power moonroof, Wireless Headphones, XLE Premium Package. Proudly serving Elizabethtown and all of Kentucky for over 60 years! Call 270-737-2181 or (800) 999-7591 to schedule a test drive today. All prices plus tax, title, lic, and dealer processing fee. 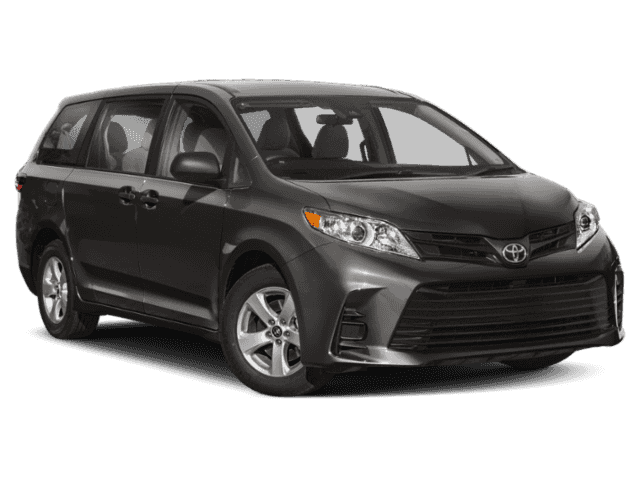 AWD 2019 Toyota Sienna XLE Premium 7 Passenger XLE Premium 7 Passenger 3.5L V6 SMPI DOHC Predawn Gray Mica LEATHER, SUNROOF/MOONROOF, REAR BACK UP CAMERA, NAVIGATION/GPS/NAV, BLUETOOTH, LEATHER HEATED SEATS, **STEERING WHEEL MOUNTED AUDIO CONTROLS**, AWD, 4-Corner/Back Clearance & Back Sonar, Dual-View Blu-Ray DVD Entertainment Center, Four Season Floor Liner/Mat Package, HomeLink, Power moonroof, Preferred Accessory Package Plus, Wireless Headphones, XLE Premium Package. Proudly serving Elizabethtown and all of Kentucky for over 60 years! Call 270-737-2181 or (800) 999-7591 to schedule a test drive today. All prices plus tax, title, lic, and dealer processing fee. FWD 2019 Toyota Sienna SE Premium 8 Passenger SE Premium 8 Passenger 3.5L V6 SMPI DOHC Super White LEATHER, SUNROOF/MOONROOF, REAR BACK UP CAMERA, NAVIGATION/GPS/NAV, BLUETOOTH, LEATHER HEATED SEATS, **STEERING WHEEL MOUNTED AUDIO CONTROLS**, 4-Corner/Back Clearance & Back Sonar, Convex Outside Rear View Mirror, Dual-View Blu-Ray DVD Entertainment Center, Front Tilt & Slide Sun Roof & Moon Roof, Lane Change Assist, Power moonroof, SE Premium Package, Smart Key w/Push Button Start, Wireless Headphones. Proudly serving Elizabethtown and all of Kentucky for over 60 years! Call 270-737-2181 or (800) 999-7591 to schedule a test drive today. All prices plus tax, title, lic, and dealer processing fee. AWD 2019 Toyota Sienna XLE Premium 7 Passenger XLE Premium 7 Passenger 3.5L V6 SMPI DOHC Blizzard Pearl LEATHER, SUNROOF/MOONROOF, REAR BACK UP CAMERA, NAVIGATION/GPS/NAV, BLUETOOTH, **STEERING WHEEL MOUNTED AUDIO CONTROLS**, AWD, 4-Corner/Back Clearance & Back Sonar, Dual-View Blu-Ray DVD Entertainment Center, HomeLink, Power moonroof, Wireless Headphones, XLE Premium Package. Proudly serving Elizabethtown and all of Kentucky for over 60 years! Call 270-737-2181 or (800) 999-7591 to schedule a test drive today. All prices plus tax, title, lic, and dealer processing fee. 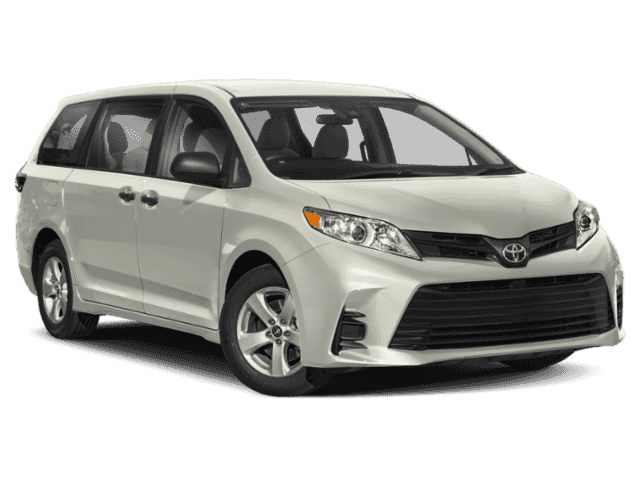 FWD 2019 Toyota Sienna Limited Premium 7 Passenger Limited Premium 7 Passenger 3.5L V6 SMPI DOHC Blizzard Pearl LEATHER, SUNROOF/MOONROOF, REAR BACK UP CAMERA, NAVIGATION/GPS/NAV, BLUETOOTH, LEATHER HEATED SEATS, **STEERING WHEEL MOUNTED AUDIO CONTROLS**, 4-Corner/Back Clearance & Back Sonar, 60/40 Power Fold Rear Bench Seat, All Weather Floor Liner Package, Dual-View Blu-Ray DVD Entertainment Center, Front Tilt/Slide & Rear Slide Sun Roof & Moon Roof, High-Intenstity Discharge Headlamps, LED Daytime Running Lights, Limited Premium Package, Navigation System, Panoramic View Backup Monitor, Rain Sensing Windshield Wipers, Wireless Headphones. Proudly serving Elizabethtown and all of Kentucky for over 60 years! Call 270-737-2181 or (800) 999-7591 to schedule a test drive today. All prices plus tax, title, lic, and dealer processing fee. AWD 2019 Toyota Sienna Limited Premium 7 Passenger Limited Premium 7 Passenger 3.5L V6 SMPI DOHC Predawn Gray Mica REAR BACK UP CAMERA, NAVIGATION/GPS/NAV, BLUETOOTH, **STEERING WHEEL MOUNTED AUDIO CONTROLS**, AWD, 4-Corner/Back Clearance & Back Sonar, Dual-View Blu-Ray DVD Entertainment Center, Four Season Floor Liner/Mat Package, Front Tilt/Slide & Rear Slide Sun Roof & Moon Roof, High-Intenstity Discharge Headlamps, HomeLink, LED Daytime Running Lights, Limited Premium Package, Navigation System, Panoramic View Backup Monitor, Rain Sensing Windshield Wipers, Wireless Headphones. Proudly serving Elizabethtown and all of Kentucky for over 60 years! Call 270-737-2181 or (800) 999-7591 to schedule a test drive today. All prices plus tax, title, lic, and dealer processing fee.